Drake’s Creek Marina in Hendersonville, Tennessee, has doubled its drystack capacity and upgraded many of its amenities. Safe Harbor Marinas, which bought the property in 2015, spent $5 million on the project. It added a new drystack storage building (built by Roof and Rack) and rebuilt the existing storage building. The marina now has space for 410 boats. The drystack construction required some shifting of boats. Once the new building was completed, the boats in the older building were moved there so the older building could be retrofitted with a fire sprinkler system. While the drystack storage is not yet at full capacity, there’s been a strong demand for the space, Merriwether added. 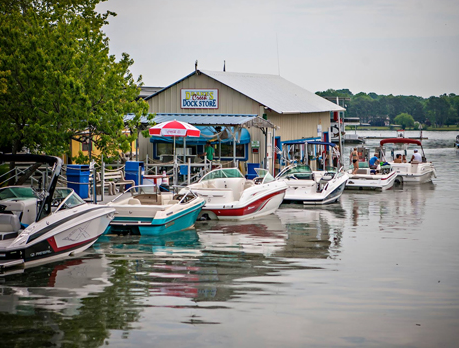 The marina, which is located on Old Hickory Lake, also has many other new buildings–ship store, bathhouse and office–as well as a new fuel dock and upgraded parking area and landscaping. “We’ve been working with the city to establish a greenway trail across the front of the property,” Merriwether said. the biggest challenge was getting everything oriented correctly on the property, which sits in the middle of a neighborhood. Drake’s Creek Marina also has 220 wet slips, almost all of them covered, ranging in size from 27 feet to 80 feet. 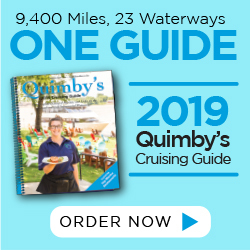 “We can accomodate a lot of different pleasure boats,” Merriwether said.